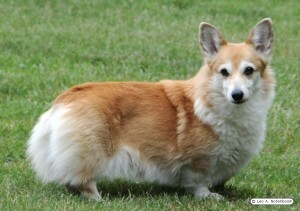 Corgi-L: the oldest and largest internet mailing list for owners and lovers of Corgis. It is devoted to two enchanting, funny, thoroughly endearing dog breeds — the Pembroke Welsh Corgi and the Cardigan Welsh Corgi. Corgi-L is now also on Facebook! Check out our post to find out where, how to get access, and “da rules”. (And, no, the email discussion is not going away. 🙂 ). Corgis are big dogs in small dog suits. These breeds are the smallest members of the AKC herding group. Both Corgi breeds make smart, friendly and exceptionally people-oriented pets — they also excel in obedience, agility, herding, tracking, conformation, flyball, and just about every other imaginable dog event because of their natural intelligence, energy and drive. However, these same qualities can make a Corgi a challenging pet for a first time owner! If you are considering a Corgi as a pet, please use the resources on this website and Corgi-L list discussions to help decide whether a Corgi is the right dog for you!